It's built like a brick poop house. Great tent. I have taken this to Alaska on a motorcycle trip, camped in Yellowstone, Mt. Rainier, Airventure at Oshkosh (I'm a pilot), and Glacier. It's built like a brick poop house. 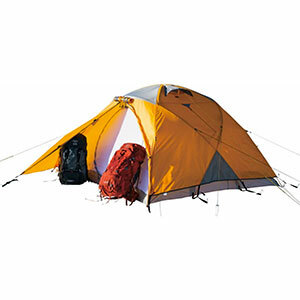 It is little complicated to set up and takes a while, which can be a pain after a long day of hiking or riding, but I see very few tents I like as much as this. 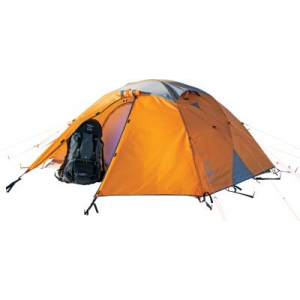 This tent will take any weather you throw at it. 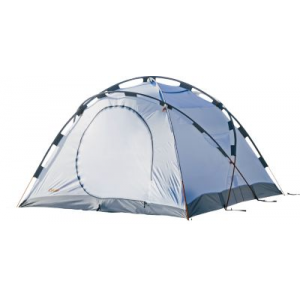 The drawback is the weight, but if you're going into "whatever Mother Nature can throw at you" kind of weather, this is your tent! Great space, gear pockets, adjustable vent flaps, snag-free zippers, and quality stitching. Price Paid: Do not remember, was quite some time ago. 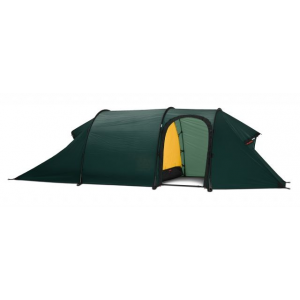 Bomb proof 4-season tent. Has kept me dry during rain, sleet, and snow. Sheds wind, rain, sleet and snow. Purchased this tent over 10 years ago and still in love with it. Have used it in fair and foul weather alike. Might not be the best vented tent for July and August, but shines when weather is a little cooler. Tent has stood up well to wind, rain, sleet and snow alike. Not a drop inside this old girl after a night and morning of rain in the St. Regis canoe area this past fall. 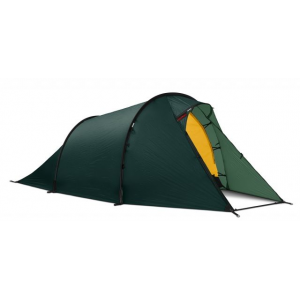 My go-to tent when the weather might be an issue. There are two doors and two vestibules. The front vestibule is a little larger than the rear, but both are big enough to store gear. I like the fact that the rainfly vents can be accessed from inside the tent and have never had any issues with condensation on the ceiling. The only knocks I can give this tent are that it is a little heavy, coming in at 13 lbs, and that the stakes leave a little to be desired, something common to many tents I have purchased over the years. On the other hand, there are numerous guy lines and with an upgrade on the stakes, this tent stays in place during windy conditions. 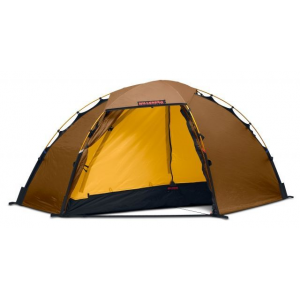 I guess a good testament to the tent might be the fact that, except for a color change or two over the years, Cabela's still carries this tent, while many other styles have come and gone. If and when, the time comes to replace this one, I'll by another if still available. On the other hand, the tent has been cared for well and as with a few of my other tents, I don't see why I won't still be using it 10 years down the road. 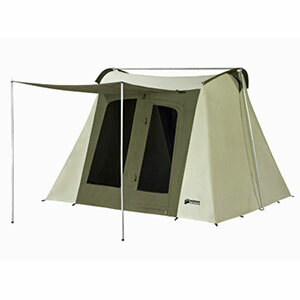 The Cabela's XPG Expedition 4P is not available from the stores we monitor. It was last seen August 3, 2017	at Cabela's.